Microsoft Love the Playstation 4 too! 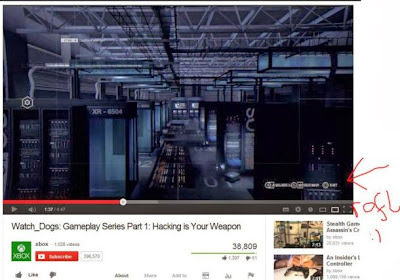 In a new internet gaff Microsoft have posted a video of Watch Dogs on the their official Xbox YouTube page. Not before long keen eyed viewers spotted the Playstation button logos Triangle, Square, Circle and X pop up on screen. Good to see the competition are also pumped for PS4. 6 days and counting to the US launch.